The Prophets · Where are the women? It is hard to overlook the fact that the prophets in the Bible were, mainly, men. 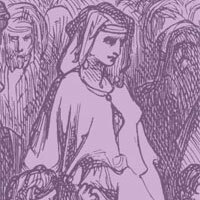 During the biblical age, women had few, if any, legal rights; for example, they couldn’t own property or decide their own futures. Although gender inequality is disagreeable to us, it was normal for that time and that place. Imagine, therefore, a woman prophet in ancient times delivering a harsh rebuke to men in positions of authority. What do you think the response might have been? Nonetheless, there are brave women in the Bible who spoke out against injustice, and their behavior inspires us. Some of them are listed here. Fortunately, each of us, regardless of our gender, can walk in the prophets’ footsteps. Exodus 15:20 teaches that Miriam was a prophet and a source of strength both in Egypt and in the Sinai wilderness. On Passover, some families place Miriam’s cup next to Elijah’s cup on their seder tables. It is filled with spring water to remind us of the legend of Miriam’s well, which teaches that wherever our ancestors wandered, Miriam’s well sustained them, a sign of God’s compassion. 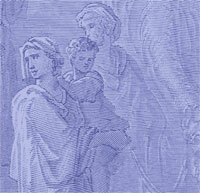 The Book of Samuel describes how Samuel’s mother spoke to God at the temple at Shiloh: “Hannah stood up . . . and was speaking in her heart. Only her lips moved, but her voice could not be heard” (Samuel 1:9-12). When we recite the Amidah, our sages instruct us to stand and pray from the heart, just as Hannah did. They also teach us that Hannah was a prophet. The Book of Exodus teaches that the midwives Shifrah and Puah saved Moses’s life when they defied Pharaoh’s order to kill all Israelite boys at birth. Moses’s mother Yocheved placed him in a basket of reeds on the bank of the River Nile then told Moses’s sister Miriam to watch so that no harm might come to him. 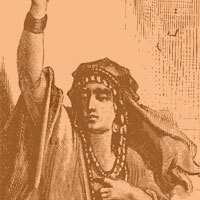 Some have suggested that Shifrah and Puah were actually Yocheved and Miriam. The Book of Judges tells us that Deborah, “a prophet and wife of Lappidot, would sit under the Palm of Deborah . . . and the Israelites would come up to her for judgments” (Judges 4:4-5). When the Israelites were attacked, Deborah chose a man named Barak to lead the army. ”Not without your help, Deborah,” he said. Barak needed her help because the separate Israelite tribes would not join together to fight the enemy without a strong central leader such as Deborah. 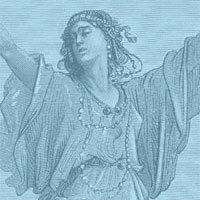 What other Biblical women can you think of who might also have served as Prophets?